We have been accepted into the Abrams Dinner Party line up for fall and spring 2018-2019. 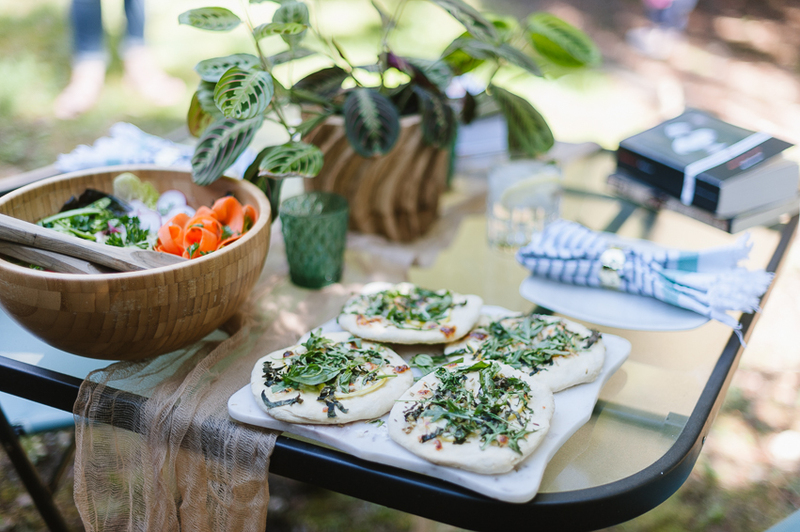 We are happily rolling through these fun, explorative dinners from the cookbooks Abrams sends us. 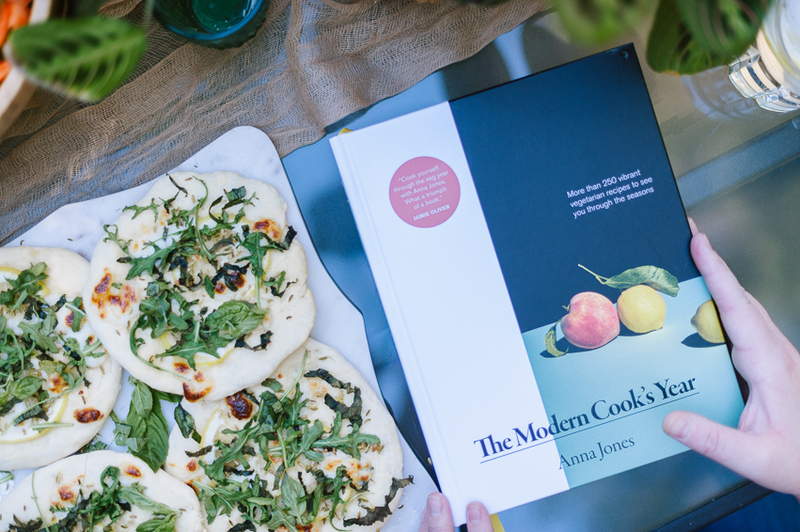 Even more exciting for us is pairing various novels, or simply what we’re currently reading, with the cookbooks, much like our own dinner parties. Adding a little more of a literary touch is what suits us best as you can imagine, and there’s something especially lively about sitting down to a homemade meal with a good book and a glass of something refreshing. This is also our final literary lunch at Michaela’s home in the city. She’s moving onto greener pastures and big spaces, AND geographically, we’ll be closer together again! You could say this post feels a little bittersweet, as I know her space as well as my own; where the light shines through best at all times of day, how to change up one area or another, and what she has on hand or in the yard to put together a literary lunch or dinner. 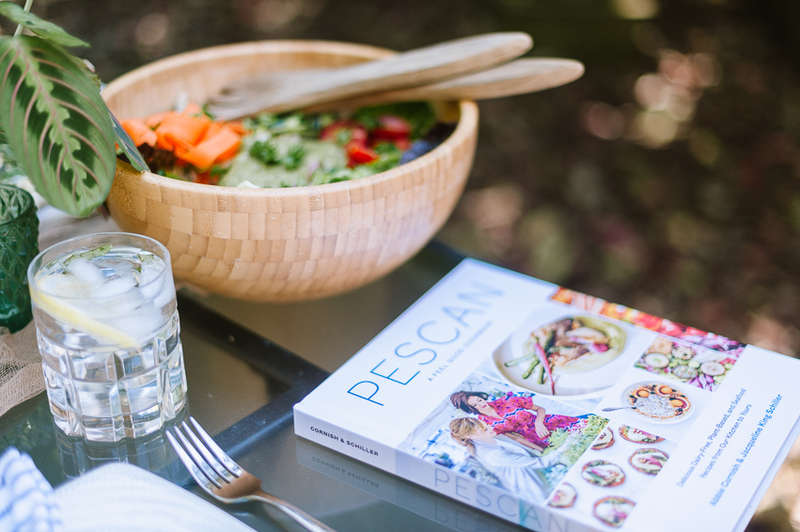 Pescan and The Modern Cook’s Year were both lovely cookbooks which we immediately sat together and flipped through while showing one another various recipes that stood out. 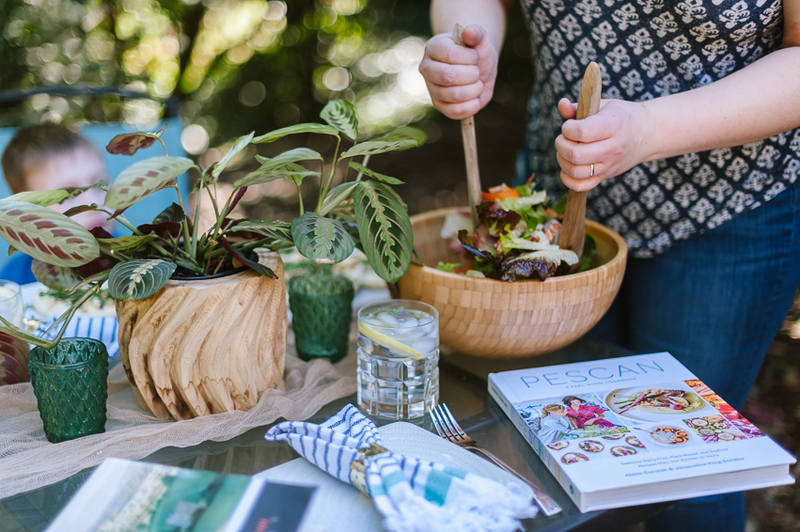 We settled on lunch, each one picking a recipe, picking up a few ingredients, and dining outside while the warm spring weather was being generous. Our classic buddy read has been Middlemarch, and it’s been a slow journey thus far. Admittedly, there’s a lot of busyness occurring for us right now, so we’re generously allowing ourselves to savor the book and take our time with it. 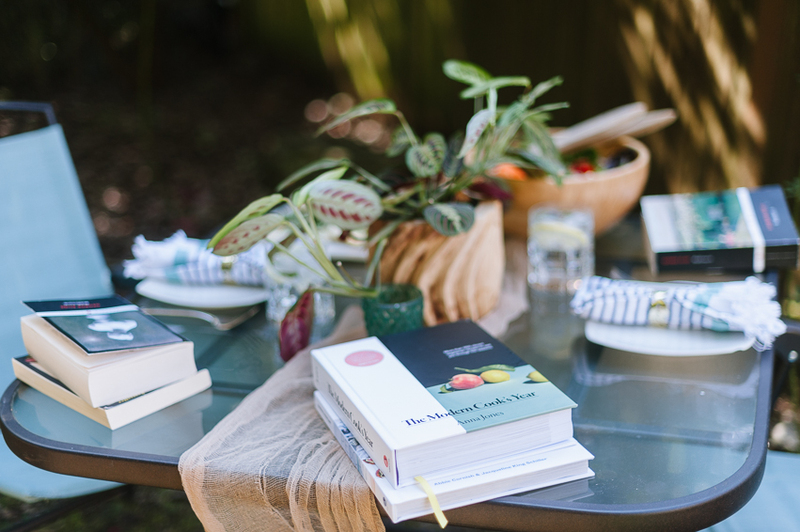 It was a wonderful afternoon in Michaela’s backyard while discussing the cookbooks, our thoughts on Middlemarch, and how this would be our very last time in this space. This is where our literary dinners were born and grew into the beautiful work it is today. However, it’s none too bittersweet, her new space is equally charming and will soon hold many more functions. So friends, we hope you’ve had a great week so far, we appreciate you stopping in to see what we’ve been cooking, discussing, and reading. Stay tuned for changes ahead and hopefully, a wrap up of Middlemarch in the coming month or two! Korean Home Cooking is a really great cookbook, as I love to make Korean dishes! Fun fact: I married into a Korean family and have grown accustomed to my mother-in-law’s homemade dishes over the years. I have a small pantry stocked with some essentials to make some of my personal favorites like, bibimbap, bulgogi, and as you see here, japchae and korean pancakes. It’s all much easier than you imagine it will be, it’s really just having the right things on hand and cooking with a hot skillet! I won’t lie, I’ve made both of these dishes before, but the cookbook helped jumpstart my memory and soon, I found myself falling into a rhythm as the aromas thickly enveloped the kitchen. Both of these dishes were quick to whip up and we sat down long before the sun went down, to a tasty and comforting meal. I really enjoyed picking up If You Leave Me, a story set in Korea and getting lost between story and food. Thanks so much Abrams for having us as members for the dinner parties, we’re having so much fun already and look forward to the next one! Be sure to check out the first one we did and this simple weeknight dinner with a few good books! As we wait for winter to fade into spring, we’ll be cozying up to watch these classic books on screen! Did you guys see the Man Booker International Prize long list? Hooray for women and small presses, and it’s been a great reminder to read more books in translation! When keeping your books on your shelves just isn’t enough, check out Elizabeth’s incredible use of her books! Are you just as curious as we are about what Michelle Obama’s favorite books are?! The options for family novels with unique dynamics never fail to pique my interest, and I’ve only read one from this list! Time to update my TBR. Bookworms rejoice! According to this article, we’re going to live forever! Or, a long time—maybe. Katie has the most creative and interesting art journals, and book stacks I love perusing. A lovely London flat, a cozy feed, and interesting novels keep me coming back to Patrick’s feed. All the greatest movies, books, and selfies. Rebecka is a wonderful artist, plus, we’re in love with her orange kitty! Michaela - I’m focusing on Middlemarch this weekend and can’t wait to pick up the pace! Rikki - I recently finished the graphic novel, Dare to Disappoint, which was fantastic and the perfect way to break up a big classic. I’m fully immersed in H is for Hawk and Middlemarch right now, both of which are lovely. We love a well narrated audiobook, and this list has some great ones read by celebrities. Family novels that span generations and countries can be so good to get lost in. Most of these are on my immediate TBR, and two of them are favorites! Have you read any? 100 of the most read novels of all time, according this leading library! So many brilliant classics! Love letters between a beloved poet and an adoring woman. Downloading the book to my kindle right now! The women’s prize for fiction 2019 longest is live! One of these was a buddy read and dinner party last summer. We are utterly thrilled with these classics turning into films. It’s a perfect time to re-read some of these in anticipation! A wonderfully creative feed with a fun film vibe, quotes, and a wide array of books. Sofie has an excellent eye for color and simplicity in her literary life. The perfect mix of books and personal imagery that has me wondering what Nerea will post next! Michaela - Middlemarch has stolen my heart, so I’m focused on that, but I’m also finishing off The Hours, which I knewwwww I needed in my life after reading Mrs. Dalloway this past December! Rikki - A fun read I’m sort of enjoying right now is How to Find Love in a Bookshop, while also reading H is for Hawk, and Middlemarch for our buddy read. We’ve been talking for an embarrassingly long time about going on a day trip to Portland. 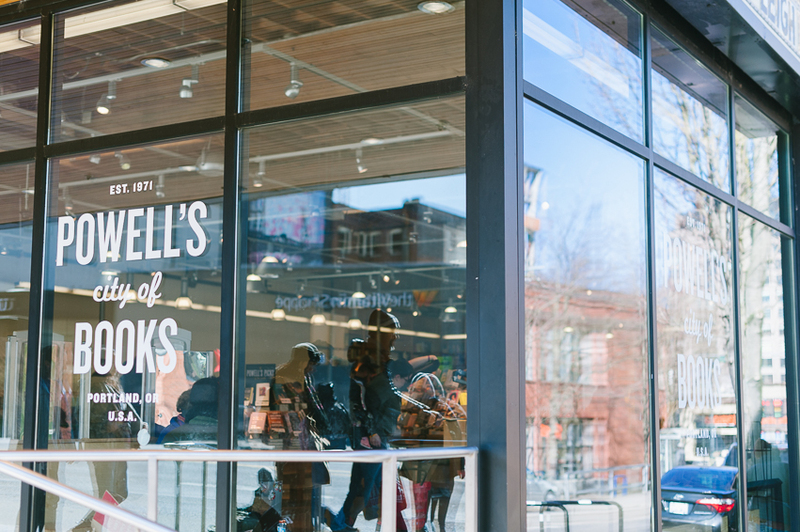 Mostly, to visit the beloved Powell’s together, drink coffee, and walk the city. We finally made it happen this past weekend and it was everything we hoped it would be. We drove the two hours south and crossed over the Oregon border, finding our way to local places for good food, books, coffee, and cocktails—you know, the necessities. 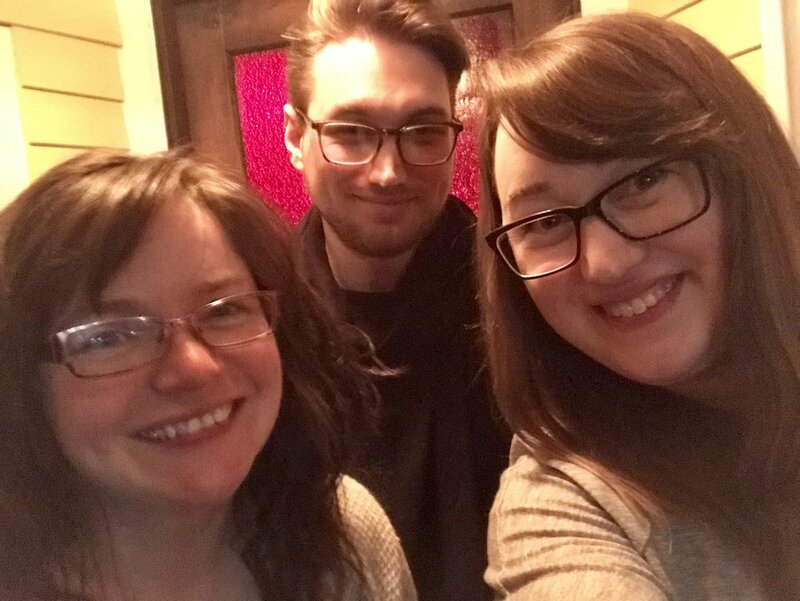 I’m a little sad to say that having gotten so caught up in the hunt for books that have long been on our collective wishlists, we didn’t take nearly as many photos of our excursion as intended. However, we fully embraced the moment while scouring Powell’s shelves, and had the best time together. We could’ve stayed there all day long, but after many, many hours, we needed sustenance. We had lunch before Powell’s, then found an exceptional coffee place immediately after. We talked over the books we found and current reads, exciting reminiscing about how much fun we had just moments ago. Books are one of the best ways to connect, to talk, to get you out and explore. As they say, book people are the best people, and we’re never disappointed. When visiting Powell’s, we highly recommend checking out the staff sections, the end caps that spotlight genres for dedicated themes, and you can’t miss the rare book room! There are so many gems in there, but it’s also a moment to slow down and find an even deeper appreciation for the books and history we love so much. If you’re taking a trip to any major bookstore, we found that having an actual list came in most handy! We each collect specific editions of books and when we come across them out in the world, it’s so much more fun than ordering online. Plus, supporting local bookstores is kind of our jam. Believe it or not, we’re very selective about purchasing books and want to ensure that we’re proud of our bookshelves at home. Our home filled with favorite books and beautiful editions is what makes our hearts soar. Corny, but true. The beauty and humanity only seen in small businesses, like this article about a California bookstore owner, is a reassuring sign of the good in the world. Historical proof that books have always mattered and that women have always been badasses. 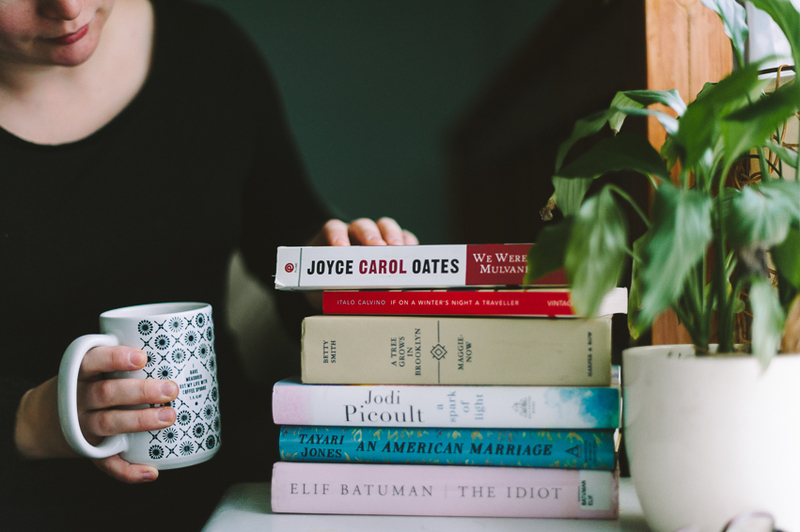 Books to inspire writers, or to read if you haven’t, plus ways to think a little differently about the world and spark meaningful conversation. It’s safe to say either you have kids directly or indirectly in your life, and science says reading to kids is important. It doesn’t take much to sit down and read a book with them! Re-reading stories we read as a kid, and what they teach us about the adults we are now. Kelsey makes me want to read every book she talks about. It’s a subtle yet endless love letter to all the books she reads. All the pretty coffee and all the pretty books, and insightful captions bring it all together. Steven teaches me about so many new and different books, often with heavier, but compelling stories. Michaela - I’m planning to kick off March with Middlemarch, and I can’t wait! Rikki - I got sidetracked with A Tree Grows in Brooklyn, and am now moving onto some non-fiction, Bread & Wine and Present Over Perfect. The 7 1/2 Deaths of Evelyn Hardcastle | Stuart Turton- This was an A+ concept with a C- execution. My IRL book club’s pick this month, and the ONLY book I managed to finish this month because, life, and it was solidly mediocre. Sob. It’s large cast of characters was a burden instead of a boon, and a concept that had so much potential quickly got repetitive and dull. I had to slog my way through most of it, and it’s been a couple weeks since I read it now, and I’m finding that it’s highly forgettable. Never a good thing. We Were the Mulvaneys | Joyce Carol Oates - I was book shopping with my mom a few years ago, she saw this book and said she loved; so I bought it and planned to read it some day. Well, that day has come, and as everyone told me, this book will tear your heart open again and again and again. It’s beautifully written, I’ll give it that— and you really felt the family, each person, and their individual trials. I hate to think how real their story is for people, but I know it’s true. The ending wrapped up nicely, and honestly, this is a story that can get away with it, in fact, it NEEDS it. I’ll be spending a bit more time unpacking this one. A Spark of Light | Jodi Picoult - Initially I thought this to be like other stories that open with the hook then take you back to the beginning to fill in the rest of the story before and circling back around. But no, this story literally rewinds; one minute you’re reading a woman is dead, then on the next page, she’s alive and we’re learning about her life. I can’t say I cared at all for this book. The strong political tones on abortion are loud and clear, but she did well at keeping it balanced and mixing it into the actual story. All the same, it left a lot to be desired. An American Marriage | Tayari Jones - This book had so much hype that when I saw a copy up for grabs at the library, I grabbed it up. It’s an enticing novel with great character development, but I felt like this book was nothing extraordinary. My heart breaks that the concept of the main plot happens to men of all kinds far too often. And you guys, I hated the end! The last page ends with hope, then the epilogue rips it all away through letters, that if you’re looking at it realistically, would never have actually been written. The Idiot | Elif Batuman - Such a strange tale, I had some trouble seeing through, or understanding, the obscure nonsensical thoughts of Selin. She seemed faceless all the while and you’re hoping to get to a main point or climax, but it doesn’t. Too late I realized it’s more like reading her diary, all from a very intimate first person perspective, an inner dialogue. With that said, I did enjoy this book; literary references and talks of Harvard classes are enjoyable for me. It ended with her summer of teaching in Hungary, and that was probably the most action-packed part of the book, and you finally see Selin gain some personality. A Tree Grows In Brooklyn | Betty Smith - Another book my mom recommended years ago, and I’m so happy I finally read it! I just couldn’t put it down. I don’t always care for coming-of-age stories, but this one is worth it every step of the way. I can’t wait to reread this someday, even more, to pass it on to my daughter. You’ll surely feel your heart break and go back together again, feel alive, and love your babies a little more. What a story! If On A Winter’s Night A Traveller | Italo Calvino - All the promise of a strange, interesting tale held up in this book. I loved it for some time, but found myself growing impatient at the redundancy that inevitably crept in. The stories within the story were an exciting shift, but if you’re anxious to see the plot move along, you’ll be halted at each interlude. I’d love to read this again with more patience, and knowing better what I’m getting into, I think I’d enjoy it even more. Still, a solidly excellent book! An excellent list of classics to read this weekend. Many new-to-me titles I’m picking up at the library today! This article explores the ability to artificially recreate, or even finish, art and literary works already done or started by the respective artists. This is fascinating since I’m well into the middle of this novel! This is a fascinating interview on the new book Last Boat Out Of Shanghai, and the author’s family’s escape from China. Out-of-print books by women to add to your treasure hunting list! The Center for Fiction is making a come back, and includes so many concepts of the literary community I hadn’t though of before. This new bookstagrammer has a bright feed that is pulling us out of our winter blues. Fellow PNW fantasy reader, we’re digging Mia’s mix of indoor and outdoor literary vibes. Rhea has beautiful classics and thoughtful, often insightful captions we enjoy. Michaela - Moving is all consuming, and I’m just dreaming of diving back into my current reads: The Dream Thieves, A Brightness Long Ago, and Hey, Kiddo. Rikki - American Marriage is consuming my time at the moment, along with finishing The Idiot, I hope this weekend! We’re in love with Obvious State’s latest blind date release. This is the theme of the year! Did you grab their new postcards too, we love the Bibliophilia set they have too! Thanks for this reminder that it’s okay to not give into the hype and enjoy a book for a great date night! This great list of female friendships is great anytime of year! This one is excellent too! To help spice up your book club, consider one of these novels. I’ve actually read quite a few! It’s fun to look back at the last few years trends of book tracking. What’s your method? This novel is taking off, and for good reason! Grab one up with us! Mixing things up with a super cute lifestyle feed with Mackenzie. *Insert book* for the perfect lifestyle inspiration. Great color and light can go a long way, plus some fun books and selfies! Kind of in love with Meagen’s mood, books, and hair. Michaela - I just finished The 7 1/2 Deaths of Evelyn Hardcastle for book club (spoiler alert: I didn’t love it) and am deciding what to read next! Rikki - Still reading through If On A Winter’s Night A Traveller, The Idiot, and I recently started A Spark of Light. So, I’m on a pretty good streak! We have so much real life happening right now that in all honesty, there just isn’t as much reading happening as we’d prefer. That’s how it tends to go sometimes, but we know that in time, we’ll get back to our beloved pages. Lately, I’ve been making time to get back into my yoga practice, more herbal teas, and general self-care overall. Below you’ll find a few things that have helped along the way. Do you have any self care resources you love? We’d love to hear about it, leave a comment below! Happy weekend, friends! 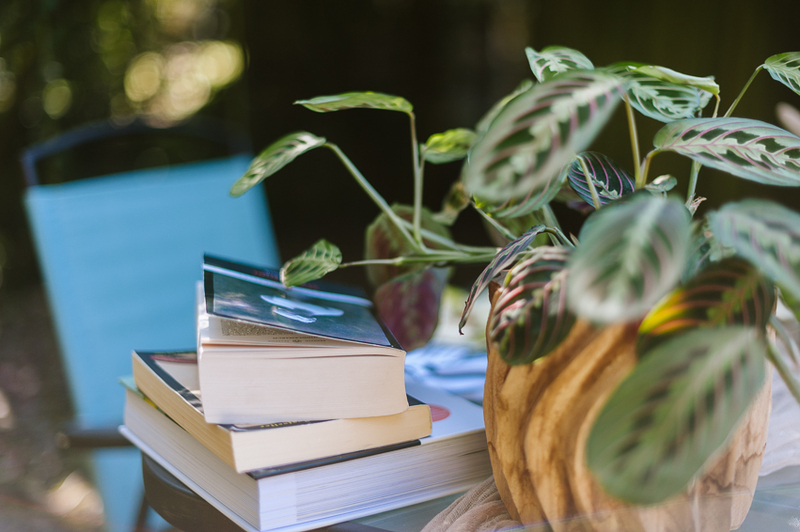 This is such an interesting round up of books to guide you to self-care. Have you read any? These 10 tips are what you’d expect to see, and I’m always grateful for the reminder. Does gifting yourself with new workout gear motivate you? Sometimes, I’m not sure, but I do have my eye on this new hoodie, and okay, this bag too! Here are some great diverse romance novels for fun, easy reading. Bookish brain candy? Modern Mrs. Darcy’s list of audiobooks to get you through that cleaning frenzy is excellent! I’m picking up this book asap after reading this article titled, Selfless Girls Will Win Us the War. Carla has a warm, fun, and creative feed to keep you inspired. Excellent book choices who’s variety runs the gamut, and also, Suzie’s the cutest. 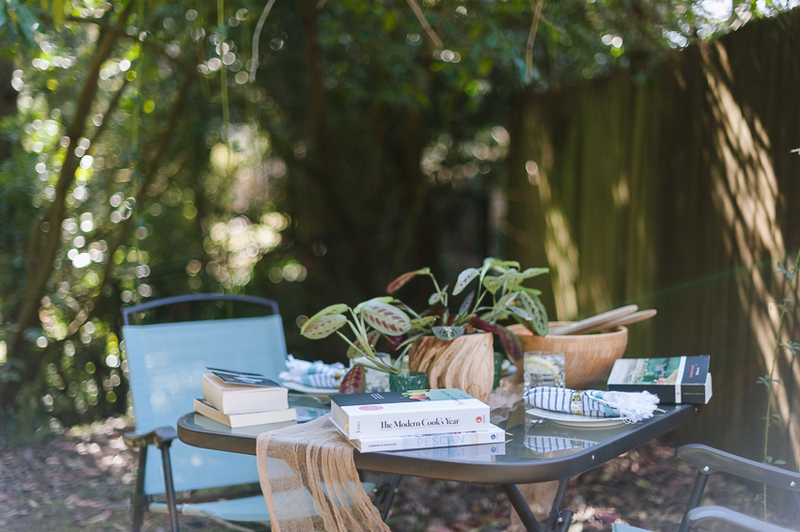 We love Rachel’s simple literary lifestyle vibe, with plenty of bookish insight. Michaela - Reading? What reading? Honestly this week has been so busy as we prepare to sell our house, I haven’t even glanced at a book. Hopefully next week calms down! Rikki - I’ve recently started The Idiot by Elif Batuman, so far, so good! I’ll also be wrapping up a quick non fic read of Days of Reading by Proust.